Researchers have detailed evidence of the structure of antihydrogen using spectroscopy. It’s been about nine months since a team of CERN researchers succeeded in their goal of measuring the spectrum of light emitted from hydrogen’s mirror particle, antihydrogen. They were just getting started. Now the researchers have detailed evidence of the structure of antihydrogen using spectroscopy, setting a landmark in our quest to determine why there is something in the Universe rather than nothing. Led by Canadian researchers under what’s called the ALPHA Collaboration, the first detailed observation of “home made” antihydrogen’s structure has shown its spectral lines are virtually identical to those of hydrogen. Had they been even slightly different this would be quite a different story, one heralding a crack in our models on the Universe that could reveal why it looks the way it does. One of the current big mysteries facing modern physics is the question of why everything seems to be made of one kind of matter, when there are two kinds. 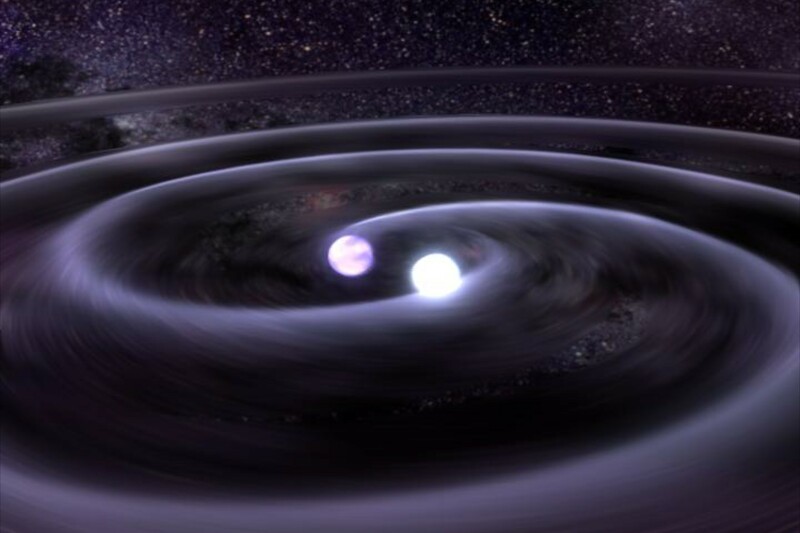 The Standard Model of physics predicts that all particles have something of a twin; a matching particle that has mirror properties, such as an opposite charge. For example, the negatively charged electron has a positively charged partner called a positron. These particles form together as a pair. What’s more, if the opposing kinds of particles meet, they cancel out in a blaze of gamma radiation. That leaves the question why there is so much of one kind of matter, and not just an empty Universe humming with radiation. If there was some kind of imbalance in the apparent symmetry of the Universe, it would go a long way to explaining why we ended up with enough matter sticking around after the Big Bang to build a couple trillion galaxies. Looking for a difference in the two kinds of matter is as good a place to start as any. Step number one is getting enough antimatter in one place, which is no easy task. The ALPHA Collaboration managed to do it by cranking up CERN’s Antiproton Decelerator and churning out about 90,000 antiprotons. To make the element antihydrogen, they needed to couple each antiproton with a positron. Even after making 1.6 million positrons, the researchers only managed to make about 25,000 antihydrogen atoms. A relative handful of these were slow enough to be trapped inside a special force field that kept them from touching ‘normal’ matter and vanishing in a blink of light. “We have to keep them apart,” says researcher Justine Munich. In all, the team managed to trap and detect just 194 atoms over a number of trials, which gives you some idea of the difficulties involved in studying even the simplest forms of antimatter. Fortunately it was enough to irradiate a sample of antihydrogen with microwaves of varying frequencies and observe their reaction. When a unit of electromagnetic radiation such as a microwave hits an electron, it absorbs it and changes position. Bouncing back, it spits out its own wave of light. Different elements absorb and emit their own spectrum of light at specific wavelengths, producing a pattern that tells physicists a lot about the structure of the atom producing them. “Spectral lines are like fingerprints. Every element has its own unique pattern,” says researcher Michael Hayden from Simon Fraser University. Theoretically as mirrors of the same element, hydrogen and antihydrogen should share this pattern. Earlier research suggested this was true, but the detail wasn’t clear enough to be conclusive. For the first time, researchers have found a way to capture fine details of antihydrogen’s spectral lines and show they are in fact identical to hydrogen. Radiating the antihydrogen atoms with microwaves allowed the physicists to determine its light fingerprint in a rather indirect way, using specific changes in the antihydrogen that caused them to eject from the magnetic bottle to fine tune estimates on its spectral lines. “Spectroscopy is a very important tool in all areas of physics. We are now entering a new era as we extend spectroscopy to antimatter,” says Jeffrey Hangst, spokesperson for the ALPHA experiment. Right now, the comparison has shown the effectiveness of using spectroscopy rather than resulting in monumental new physics. But new tools like these are going to be important in studying antimatter in the future. “By studying the properties of anti-atoms we hope to learn more about the Universe in which we live,” says Hayden.